hey man. good to see you. hey bud - was thinking about you and nate the other day. i tried to buy some of the old sda dvds just to see if it would still work (nope!). hope everything's going well! oh that's dumb. bad list! are those all single segment, though? oh that's dumb. bad list! are those all single segment, though? it is a bad list, but the site hasn't added an option to default to gametime yet (they say it's coming soon). all the runs on the list are single segment. 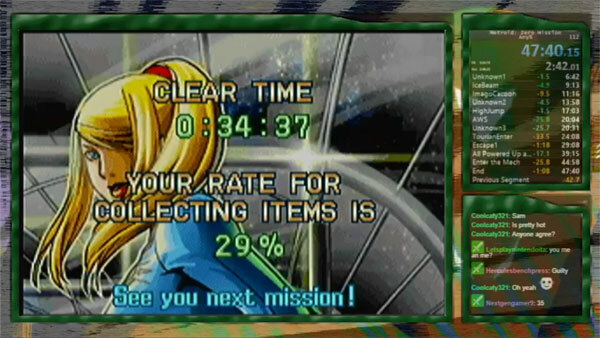 29:41 IGT, still lots of time to be saved. Not bad for not practicing this at all or doing this at all for a month. 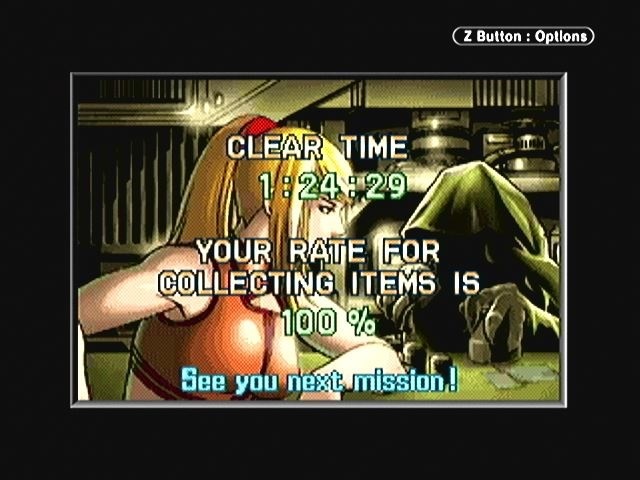 This was just a fun run to celebrate Sub-50 Any% Fusion. Not sure how I actually gained so much time, especially after failing a spine chain in Crateria for what feels like 5 minutes. 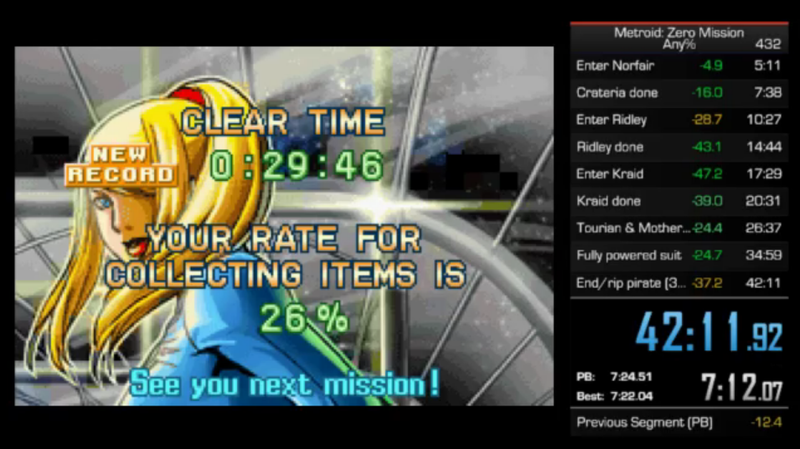 Any% Normal PB in a race. Unnecessary safety saves, map of shame by hitting the ceiling, fell in the last big room of suitless after destroying the blocks. I'll eventually grind this game out. [img]http://i.imgur.com/mFvHBNN.jpg[/img] Not bad for not practicing this at all or doing this at all for a month. 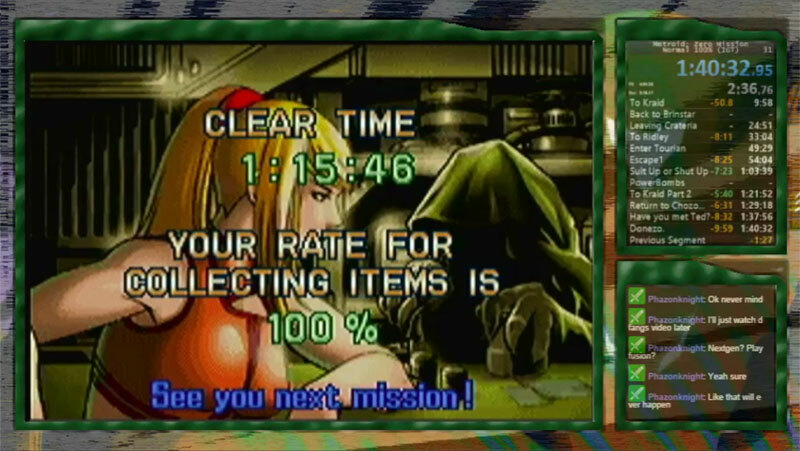 This was just a fun run to celebrate Sub-50 Any% Fusion. Not sure how I actually gained so much time, especially after failing a spine chain in Crateria for what feels like 5 minutes. [img]http://i.imgur.com/61SlREF.jpg[/img] Any% Normal PB in a race. Unnecessary safety saves, map of shame by hitting the ceiling, fell in the last big room of suitless after destroying the blocks. I'll eventually grind this game out. Hey man, fun to see some old faces here. Just popped by after listening to the Samus Returns soundtrack, made me wanna play it. Then I saw this and was like "whoa".